"What are the best anti-squirrel spikes?" "Where do I put the anti-squirrel spikes? " I've been thinking to myself: how come I've never seen a single review of squirrel deterrent spikes itself? So, I've started looking around for any kind of other people's experience with spiky squirrel protection and finally now I can give you shortest possible advice on that matter: "It does not work!". Do anti-squirrel spikes exist at all? 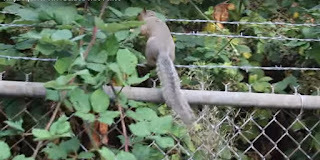 I took the time and did thorough research on the Internet and I really could not find any kind of solid proof that barbed wires or spikes of any kind are actually effective in stopping the squirrels from looting bird feeders. On the contrary, the squirrels don't seem to care much about the spikes! Just check the comments from the all the folks who tried and failed with so called anti squirrel spikes at this Amazon link and you'll see what I mean. 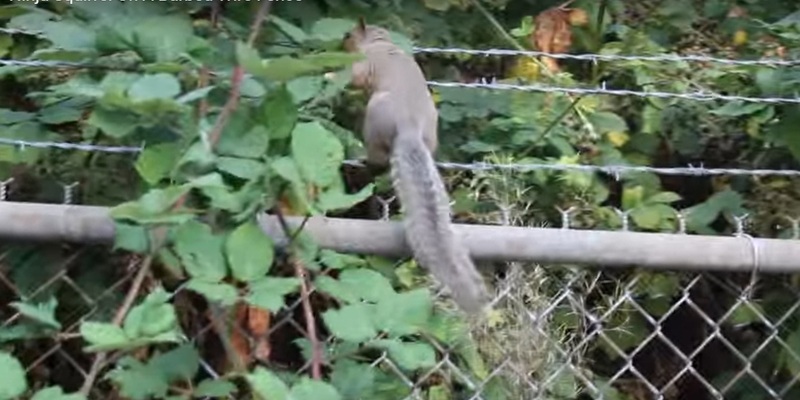 The worst thing of all is that the squirrels can even use your spike protection as a ladder to climb up your fence and reach your bird feeder. No matter how fragile they may seem, the squirrels actually have pretty flexible bodies, tough fur, tough skin and paws due to their way of life. Persistent scratching against rough tree bark and scrub-like vegetation made the squirrels practically immune to spike protection. Therefore, the analogy of protection from squirrels and protection from the other animals can not be made, or at least not in this case. It's obvious. So, the anti-squirrel spikes don't work. What works for bird feeder, then? Squirrel proof bird feeding is not so simple no matter how it may seem. It's rather complex skill with very wide base of knowledge you should adopt first, often even before you get your own bird feeder. But if you are really into it, you'll may want to spend some time learning the best squirrel proof tactics. I hope my article about squirrel proof bird feeding tips is a good way to start and I hope you'll find it useful.